Home / Health / This Is Why Healthy Food is the Best Choice for Your Healthy Life. This Is Why Healthy Food is the Best Choice for Your Healthy Life. Why You Should Eating Healthy food? 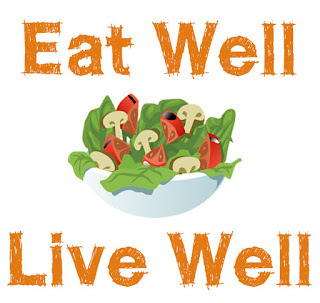 Eating a healthy food is one of the things you should do to maintain a healthy body. Every day, our body needs a good intake of nutrients and balanced to be able to perform its functions. Healthy food is very helpful for body growth, improve body function and provide protection from the disease so that all organs can be used for our daily activities well. Healthy foods should also have a positive impact on the body's metabolism balance in the long term. The function of food in the body. Food as an energy source. The substances which have been through a chain of digestive processes within the body will produce the energy that the body needs for various activities. The energy stored in food is chemical energy. In the body, these chemical energies will change into muscle energies through a series of metabolic reactions. Energy is produced from foods containing carbohydrates, fats, and proteins. As body growth substances and maintenance body regeneration. Growth and development of the body begin since we were born and lasted as long as we live. The ingredients for growth and body are sourced from the food we consume daily. The human body is composed of biomolecules, including carbohydrates, fats, proteins, nucleic acids, and vitamins. These compounds constitute the cellular components of the body. To be able to arrange the cellular components of the body, needed energy source from outside the body ie food. In addition, damaged cell components must also be regenerated. To replace or build the body's cells, needed food that comes from outside the body. To perform normal body functions is very dependent on the health of existing networks. If there is damage to the network or the network is old, then it takes food to rebuild the damaged network so that the network can function again optimally. 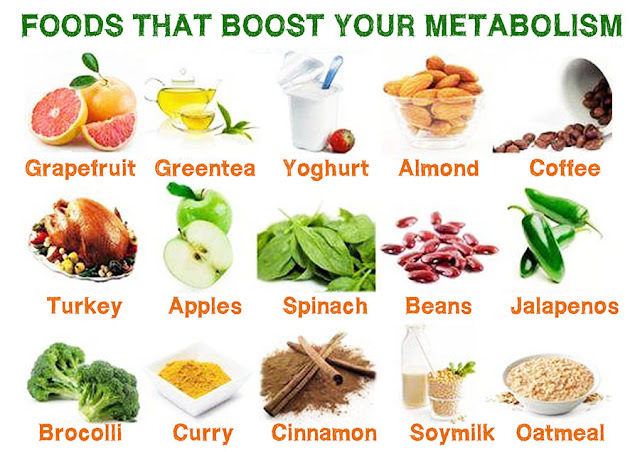 Helps to metabolize the body. In the human body, many processes occur. Here food has a role to regulate metabolism and regulate various body fluids balance through the elements contained in the body. Body Defenses Against Disease (antibodies). As a protector and defense of the body, which maintains the balance (homeostasis), the process of biological oxidation, and the compilers of antibodies. Vitamins as one of the elements contained in foods that function in maintaining immunity, because of deficiencies to one of the vitamins contained in food can cause disease. Substances can serve as body armor from unfavorable environments. Fat is used to protect the body from the cold. Some vitamins act as antioxidant compounds, ie compounds that work to inhibit oxidation by reacting with free radicals to form reactive free radicals are relatively stable. Antioxidants can protect the body's cells from the harmful effects of reactive oxygen free radicals. Potassium and Antrim minerals are used to maintain a balance of cell osmotic pressure. To neutralize foreign compounds (antigens), the body forms antibodies that are a protein. These antibody proteins are formed from amino acids derived from foods. Carbohydrates are one of the substances your body needs to produce energy. But the type of carbohydrates that enter the body must, of course, have good carbohydrates which have a low glycemic index. This aims to not increase blood sugar levels. Excessive carbohydrate intake can be harmful to health and at risk for diabetes and obesity. The recommended carbohydrate types are wheat, brown rice, beans, vegetables, and fruits. Healthy foods should contain protein. Protein is a very important nutrient, our body uses proteins to form new cells, forming tissues and guarding cell functions. one example of foods containing protein is fish and soybeans. Calcium is needed by the body to protect the health of bones and teeth. Calcium has the most amount in our body. Some functions of calcium, among others, as acid balancing, strengthen blood vessels, can help optimize fat loss and suppress appetite. Lack of calcium consumption has a risk of osteoporosis. 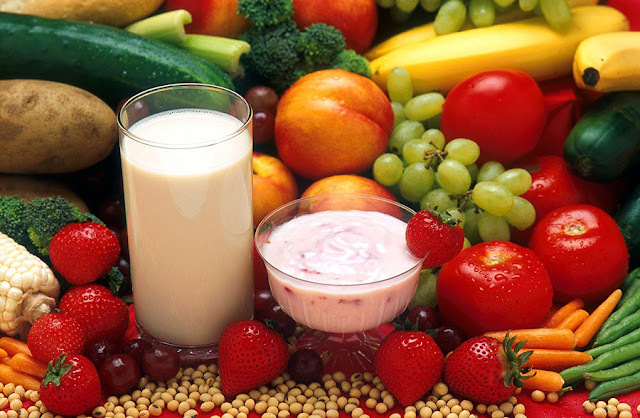 Calcium can be obtained from foods such as vegetables, milk, and whole grains. Foods that have fiber like fruits and vegetables are highly recommended for consumption to protect digestive health. Fiber is useful for digestion because it can bind water so that stools are easier to remove Lack of consumption of containing foods will be at risk of causing digestive problems such as constipation. Eat foods that contain omega-3 fatty acids that are beneficial to boost your immune system, while avoiding inflammation and can nourish for heart health. Omega-3 can be obtained from salmon, tuna, mackerel, and sardines. 6. The balance of high salt content and potassium intake. If high salt intake and potassium intake is less than 3.5 g will result in high blood pressure, which in turn increases the risk of heart disease and stroke. 7. The food is well processed. the way we process food will affect the nutrient content and health of the body. This is because there are some foods such as vegetables when cooked at high temperatures, it will reduce the nutritional content such as vitamins, folate, and potassium as much as 15 to 20 percent. By observing how to cook, we can maintain the nutritional content and absorb nutrient intake in foods needed by the body. Therefore, we must understand exactly how to process the right foods and healthy. Consider the following explanation of the various ways of cooking that can affect the nutritional content of food. Boiling food is a healthier way of cooking than frying. As long as the boiling is not done too long.Vegetables generally contain a lot of vitamin C. But unfortunately, the vitamin will be lost in large quantities if cooked in water that is too hot and for a long time. Because vitamin C is easily soluble in water and sensitive to heat. For example, when you cook broccoli, spinach, and lettuce, you will lose up to 50 percent or more of vitamin C in the vegetables if boiled for a long time. Steaming is one of the best cooking methods to maintain nutrients including water-soluble vitamins and heat-sensitive ones. Using the method of steaming is considered to make the food becomes tasteless. However, you can add a little spice to be more delicious. When steaming vegetables, vegetables should still look green and still crunchy when bitten. In addition, avoid cutting the vegetables too early before cooking. Because the distance of cutting and cooking too long can also damage the nutritional value of food because it is exposed to heat, light, and oxygen that can damage the vitamin content in fruits and vegetables. Cooking by frying just takes a minute and uses less oil. In general, the method of sauteing also includes a healthy way to prepare food because it can increase the absorption of fat-soluble vitamins, some other compounds, and antioxidants. Do not forget to use healthy oils like olive oil, to prevent high cholesterol due to ordinary cooking oil. Roasting is one of the most popular cooking methods as it gives a distinctive flavor pleasure to the food. But unfortunately, 40 percent of the B vitamins and minerals contained in roasted meat will be lost. In addition, there are concerns about the content of polycyclic aromatic hydrocarbons (PAHs) that are potentially causing cancer. Cooking by means of good burning done origin not excessive. The reason, the rest of the charcoal on cooking dishes until a colored black or burnt from burned too long can cause cancer (carcinogenic). Cooking using a microwave is an easy, safe, and convenient cook method. How to cook this do by utilizing microwave. Short cooking reduces exposure from heat and maintains nutrients in food. 8. Free of harmful ingredients. It does not contain harmful substances such as artificial sweetener aspartame that is proven to cause cancer. And free of preservatives that harm the body. 9. Does not contain trans fat. The plant produces trans fats through a process called hydrogenation - a process in which vegetable oils are converted into solid fats by adding hydrogen atoms. Hydrogenation increases storage age and food taste stability. In other words, making food more durable. Trans fat increases "bad cholesterol" aka LDL, and increases your chances of getting heart disease. Trans fat also lowers "good cholesterol" aka HDL. High levels of LDL cholesterol combined with low HDL levels increase the risk of heart disease, the leading cause of death in men and women, and are associated with a high risk of type 2 diabetes. Expired foods often have adverse health effects, ranging from mild disturbance to serious health problems, depending on the type of food and duration of food expiration. Also read: How To Be Healthy Happy Family? 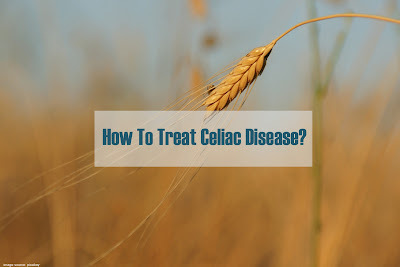 How To Treat Celiac Disease? Chronic Illness can be The Impact of Childhood Trauma. Pregnancy at 35 Years Old: What Should Be Known. 14 Easy Homemade Guacamole Recipes. What Father has to do In Father-Daughter relationship? Side Effect Smoking on Your Vocal Cord. Strawberry Benefits for Beauty and Health.